You can place long/short orders and benefit from both rising and falling markets. You will be able to do trading round the clock. You can make use of leverage. Sometimes, it is as high as 1:200. Many online brokers offer gold trading. The first and foremost aspect that you need to take into consideration is regulation. You must find out if the broker who is offering the platform for online gold trading is regulated or not. It is a must that you trade with a regulated broker. This ensures the safety of your hard earned money as regulators insist that clients’ funds and company’s funds should be maintained in segregated accounts. The regulatory authorities keep an eye on the financial strength and integrity of the broker. The leading regulatory authorities are: Commodity Futures Trading Commission (CFTC) and National Futures Association (NFA) in the US, Financial Conduct Authority (FCA) in the UK and Cyprus Securities and Exchange Commission (CySEC). The best gold trading broker will always offer multiple trading platforms that are capable of enabling you to trade irrespective of your level of experience. Such brokers offer demo accounts which will be of great help to you if you are a beginning trader. You can also get your feet steady by gaining some valuable experience before you venture to start using the faster and more advanced trading platforms. Multiple platforms also afford a great deal of flexibility and you can choose one that suits your needs and risk appetite the best. The best gold brokers will always provide the technological support and tools needed to help you have a great trading experience. As regards technology, the broker should make available to you apps that are suitable for your mobile device if you are a person who is always on the go. This is will help you to access the trading platform from wherever you are on your Android or Apple smartphone, tablet, etc. It is needless to say that the platforms designed for mobile devices should be the same as those created for personal or desktop computers. In addition, the trading platforms should make available tools required for trading such as news feed, technical analysis capability, pip calculator, margin calculator, etc., so that you are better equipped to take timely action. Some brokers provide a dashboard to help you quickly know the status of pending orders so that you can make trade with minimum number of clicks. High quality trading platforms always allow you to make the best use of opportunities as and when they present themselves and enable you to customize your settings so that you don’t face any hassles at the time of placing an order. Another important aspect that you need to take into consideration is the services offered by the gold broker. There are different types of brokers: full services online forex brokers who offer overseas trading and highest level of customer support and discount brokers. The latter type may be cheaper compared to the former type, but they do not extend the required level of support. Therefore, you need to choose the right gold trading broker based on your specific requirements. In this connection, it is also important to look at aspects such as the minimum deposit to be made into your account to start trading, trade size, leverage, margin requirements, the currency options available for operating your account, methods available for transfer of funds into your trading account and ease of withdrawal of money from your account when choosing the best gold trading broker. Investment opportunities made available by the online gold broker is one of the key aspects that you need to consider. Best gold brokers would provide several different options for investing in the precious metal. You should be able to directly buy gold or invest in exchange traded funds (ETFs), mutual funds, etc. This is very important because options allow you to diversify your portfolio and maximize your earnings from the investments. Online gold trading brokers make money either by charging commissions on transactions or through spreads offered by them. It is important that you compare the rates offered by the online gold trading brokers whose name you have shortlisted on the basis of other factors. There are several websites that allow you to compare the fee charged by different gold brokers. This is very important because comparison will help you to decide as to what services offered by the broker are applicable in your specific case and whether it is possible for you to obtain comparable services at a lower price or commission rates. However, fees should not be the only criterion based on which you choose an online gold broker. Of course, you must take fee aspect into consideration to determine your costs vis-a-vis benefits. Look at the services offered by the broker and decide as to which of them you would and accordingly work out your costs. Ensure that the broker would provide all the required services without you having to pay a great deal of fees. 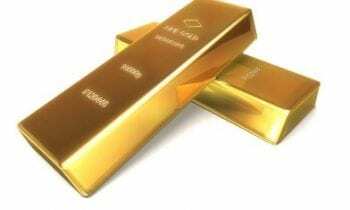 These are some of the most important aspects that you must look into when choosing the best gold broker for online trading. You must take sufficient time and do a thorough research so that you are in a position to maximize your profits from precious metal trading.